I resigned from my job today. I resigned without a specific plan. I leapt. I managed to write myself out of a very icky place on Sunday. I thought I was worried about not getting the job I've been interviewing for recently, but the more I thought about it, the dark panic was about the possibility of staying in my current job. The thought of it was terrifying and soul sucking. 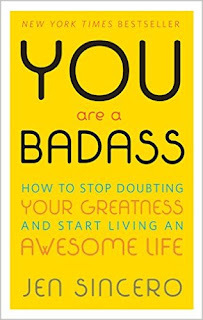 I sat in my car at lunch earlier this week reading You Are a Badass: How to Stop Doubting Your Greatness and Start Living an Awesome Life by Jen Sincero, and while it didn't make up my mind for me, it brought some thoughts together that have been swirling. First off, the job I'm interviewing for is more than I could've ever dreamt for myself. It's a position I would not have applied for because I would've considered it too high-powered, too high-paid, too fancy for me. But they like me. They really do. I have a good chance. What's more, the people around me believe in me far more than I ever have. My mom, my husband, my friends, you who have known me here for so long. You tell me I can do whatever I put my mind to. It's something I grew up hearing, but somehow I lost it along the way. Suddenly through this potential job opportunity I started to believe I could actually do this. What's more, I began to realize that even if I don't get this new job, it doesn't matter. I do not want to spend another day in this place. I can do more, be more. Maybe I can be one of "those people" who make the money and do the fancy things. If not, I can do something else. I can always teach since it fills my heart. I can write. I love doing that. Can I live with myself if I leap? I've prayed. I've talked to my family at length. I've read your messages and tweets and comments. I've read books. I've cried. I've prayed some more. I have been so unhappy. I decided without realizing. I am free to do whatever I can do. You are divorcing yourself from all of the unhappiness and unhealthiness. You are showing your friends and your son and everyone in your life how to really, no-kidding BELIEVE in yourself. How to stand up and walk out of an abusive situation. Because that's what work is. I am so very happy for you Andi! I am so happy and excited for you! I think we sometimes forget that we really need to take care of ourselves first, and that doing so is NOT a selfish act. It is healthy and it is necessary. A friend of mine always says in this situation to "jump and the net will appear". I have full confidence that your net will appear - maybe in this new job opportunity (which sounds very positive) - maybe in another endeavor that hasn't surfaced yet. I'm proud of you and wish you all the best. Scary, huh? Scary but very also very, very exciting! Without knowing the specifics (and do the specifics even matter?) I read that you left without a plan and my heart stopped beating for just a sec. Such a courageous thing to do. Awesome, too. I can't wait to hear all the details. As someone who has known you for a while, I can say without reservation that the next place you land will be incredibly lucky to have you. I'm so thrilled for you as you move on to the part of your great adventure. Congratulations! I'm so glad you've left that horrible, toxic environment. You are such an awesomely capable woman and deserve better than they were treating you. I keep saying this, but I'm so happy for you, and so proud. You have inspired me to evaluate my own job, where I'm at, where I'm going, and it's given me a lot to think about and a plan to move forward. So without knowing it, THANK YOU for this. You're one of my favorite internet people I "know," and I'm thrilled you're doing what's best for your future and happiness. Awesome! It's hard but freeing. You are going to be so much happier in whatever adventure awaits. Taking a leap of faith is scary, but exciting. Just know that you are going to be so much happier now and that you deserve it. You rock, Andi!! Hardest thing to do - kudos to you for making the leap. You've been so unhappy and we can get stuck in a rut and let ourselves be slowly destroyed from within. It's always scary at first. But you'll hit the ground running. You're strong and have a lot of support. What an empowering blog post! So happy that you took that leap and are waiting for bigger and better things. I'm glad you have the support of your family and friends as you make this transition. It's funny because I always used to hear that you never leave a job without having another but I have done it in the past and I have not regretted it. And, this from someone who works in Human Resources! So good for you and I'm sure the perfect thing is just around the corner! I know that was the right thing for you to do and I know it will work out for the best in the end. I bet you already feel like a heavy burden has been lifted from you. Good for you! That can be the scariest thing. I feel like it's very easy to settle in to a job that you don't like and not even realize how unhappy you are. Good for you for making the change! You are awesome and you'll know when you find the right thing for whatever is next. You did this giant, scary thing, and you survived it. Cheers to your next adventure. Sending happy thoughts your way, friend. Buy yourself some ColourPop liquid lipsticks and be your kickass self! Way to go - I myself am also almost, so close, to finally being free from a ten-year long prison sentence of working for a bully. I am almost free! While I am somewhat still scared of what might be said when I get to fire off my resignation (eff off and die) letter I have come to the realization that this person should NEVER have that much power over me! I will have NO regrets about leaving when I do. I cannot wait! A big huge and hearty congratulations to you and only incredible and wonderful new opportunities will come your way! Good for you! A leap of faith and you will go far I know it! Aww, yay! You go girl. I quit my job a few years ago without something else lined up. It worked out really well. I hope it does the same for you...that feeling of leaving a job that's not right for you is amazing! Good luck! This is fantastic. Even if this job doesn't come through, something will. But you were absolutely right to leave something that was so bad in so many ways. I am so proud of you!! 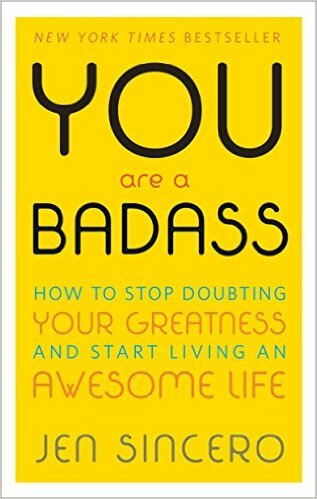 You are a badass! 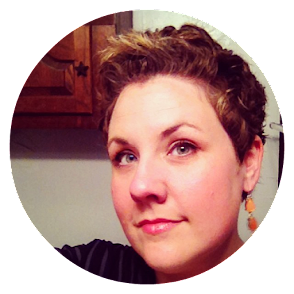 Way to take charge of your life and happiness, Andi! I'm sure it's very scary, but I also think you'll be much happier in the long run. I hope you get the job offer, but if not, I know there's something out there for you. Thanks for this post. You are an inspiration! I told you you needed that book. I am so very thankful you took this leap. So very thankful. Congrats and I hope things work out with your dream job! Very happy for you... it took a lot of courage to make that leap. Great things are ahead - I just know it! This is what you needed to do. But that doesn't make it any less brave. You're an inspiration, Andi! And I just couldn't be happier for you! I'm so happy for you! Truly. I bet you already feel so much better. It's very hard to take that step and leap into the unknown, but things do have a way of working out. You've thought about it, prayed about it, sought advice, and then you made your decision. Can't do better than that. I did this very thing long ago (1988) and I've never regretted it. Best of luck and we'll be watching for what Andi does next! Hugs. So happy for you, Andi! I don't think you'll regret it. My husband has been slowly getting the life sucked out of him working at the banks for years and years. In January, he finally decided to leave and go out on his own, something that he has been terrified to do in the past. He has never been happier. You're gonna be great at whatever you do next! Congratulations, lady! Sometimes you just have to blow up your life and start fresh -- I've done it a time or two, and for what it's worth, it's paid good dividends for me. Sending lots and lots of positive thoughts your way, as ever! Andi, that is such exciting news! Good for you for knowing yourself enough and really listening to what you truly need and getting out of (what sounds like) a toxic situation. I'm so excited to hear about what is next for you - I know it will be great. So happy for you, Andi. My husband switched jobs, just over a year ago. He stayed within the same organization but moved to an entirely different division -- one he knew next to nothing about -- and he couldn't be happier. He had been coming home looking totally drained, then he had this wonderful new challenge in front of him and it gave him back that joy he'd been missing. Sounds like you're on the right path. I'm glad you listened to your heart and hope whatever's next is the Best Thing Ever. Fingers crossed everything goes well!! Congrats, Andi. It's scary stuff, but it's time! Awesome. I don't think you'll regret it at all. I'm so glad, Andi! From everything you've said, this seems like a good move for you. Congrats! I admire your bravery. Awww that's so amazing! Especially since it's such a hard and brave thing to do. Congratulations! I hope things go well for you. I am so happy for you! To do what you did takes courage and you certainly are one of the bravest people I have come across. I have my fingers crossed for you for your new job opportunity! Congratulations! I wish you luck in your new pursuits! It will feel amazing to get out from under a job that you hate. About 2 years ago, I quit my job for similar reasons, picked myself up and moved without any plan or job lined up and now I have a job I enjoy, better health and a new community I love. You've got this!